The closest area to the Malaysian border, Hat Yai is now rising as an up-and-coming destination. The city is one of the most major cities in Southern Thailand and also Thailand’s third largest metropolitan. 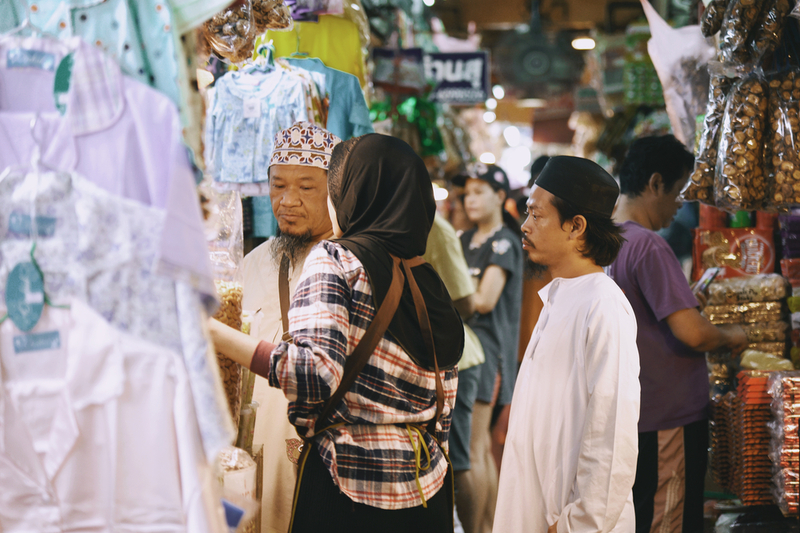 Hat Yai’s charms mainly lie in the food and shopping scenes, but it does have cultural, religious and natural sides for other kinds of travelers. Don’t forget to explore Songkhla, which is actually the city that Hat Yai is located in, and you’ll see why Hat Yai and Songkhla aren’t just stopovers. Kim Yong Market is easily the best place to shop in Hat Yai and definitely one of the best in Thailand. With its size, you can shop from dawn till dusk (and also bargain if there are no price tags). You’ll find loads of things from street food and fresh fruit to clothes and accessories and even snacks from Malaysia. Thai, Chinese, Malaysian, Indian, Hat Yai food culture is a real feast. Apart from grabbing street food from Kim Yong Market, visit the local eateries as well as the local mall Lee Garden Plaza and the hip night market Greenway Night Market. Book a Hat Yai Evening and Night Tour. 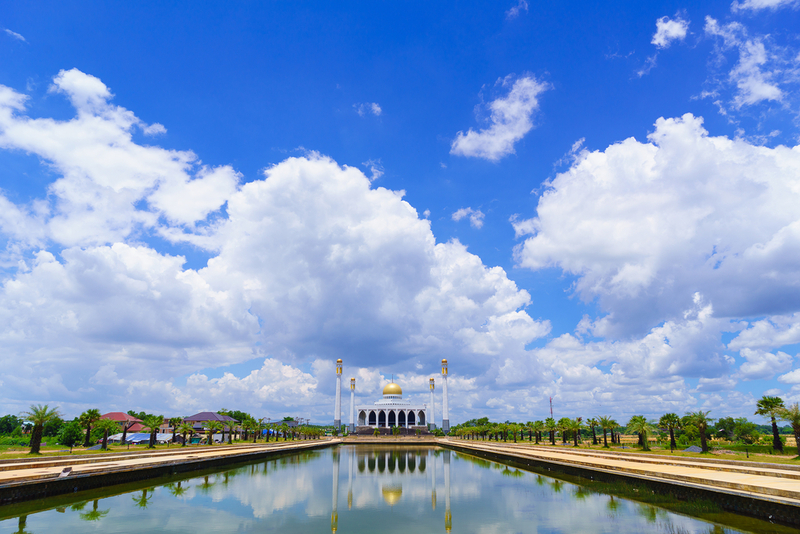 Hat Yai Municipal Park is a huge place and it’s more than a place for a relaxing stroll. 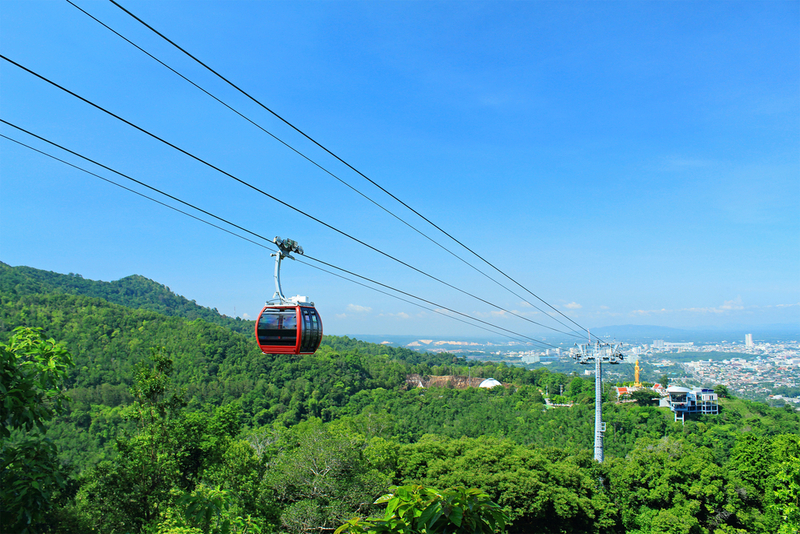 At the park, you can board the cable car and view the greenery and the cityscape from above. It will also take you to stunning religious sculptures like the four-faced Brahma Statue and the gigantic golden Standing Buddha. The local temple Wat Hat Yai Nai houses one of the largest reclining Buddha images in the world. Apart from the 35-meter Buddha, Hat Yai Central Mosque is another must. It’s the biggest mosque in Thailand. Book a Hat Yai and Songkhla Highlight Tour. Situated in Ton Nga Chang Wildlife Sanctuary, Ton Nga Chang Waterfall is one of the most beautiful waterfalls in Southern Thailand. The cascade is surrounded by lush surroundings, so it’s the perfect place to refresh yourself. Book a Ton Nga Chang Waterfall Tour with Dinner. Not the Little Mermaid but the Golden Mermaid. 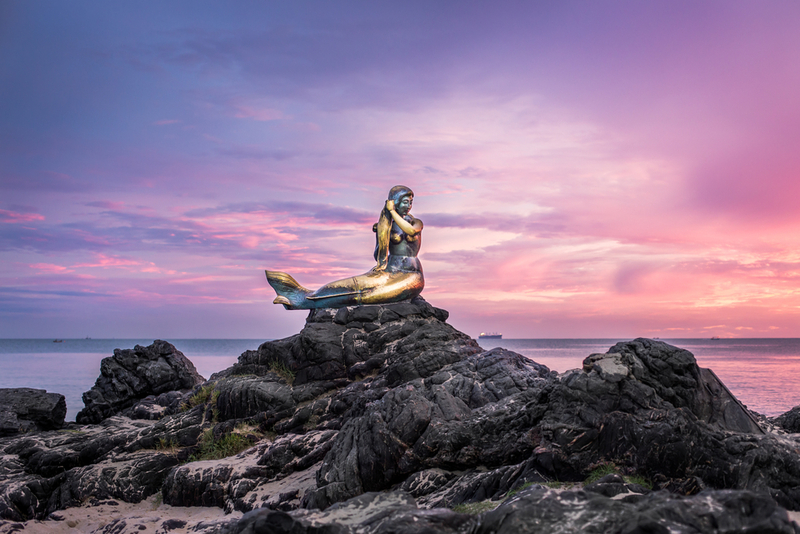 Sitting and combing her hair on the rocks on Samila Beach, she’s Songkhla signature. Samila Beach itself is also sandy and clean and fringed with beautiful trees. Book a Hat Yai and Songkhla Top Attraction Tour. The gem of Songkhla Lake. Koh Yo is a very local place where you can learn about the simple fishermen’s way of life. Of course, it’s abundant in fresh seafood, so be sure you visit one of its seaside restaurants. In addition to seafood, Koh Yo also has arts and crafts and fruits. Songkhla Old Town has been charming new visitors with its local culture-inspired street arts along Nang Ngam Road. However, the older things are as charming. The old town has a lot of old wooden houses and Sino-Portuguese and their residents still run their shops and restaurants.